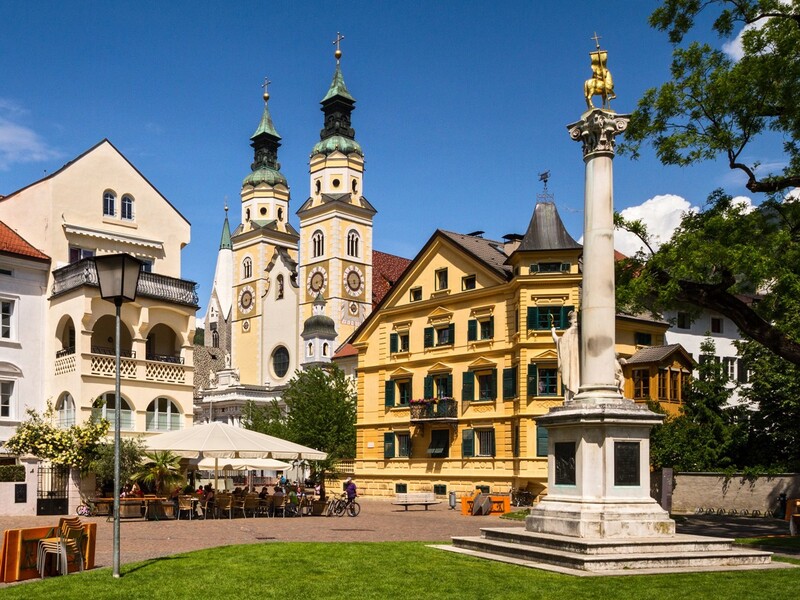 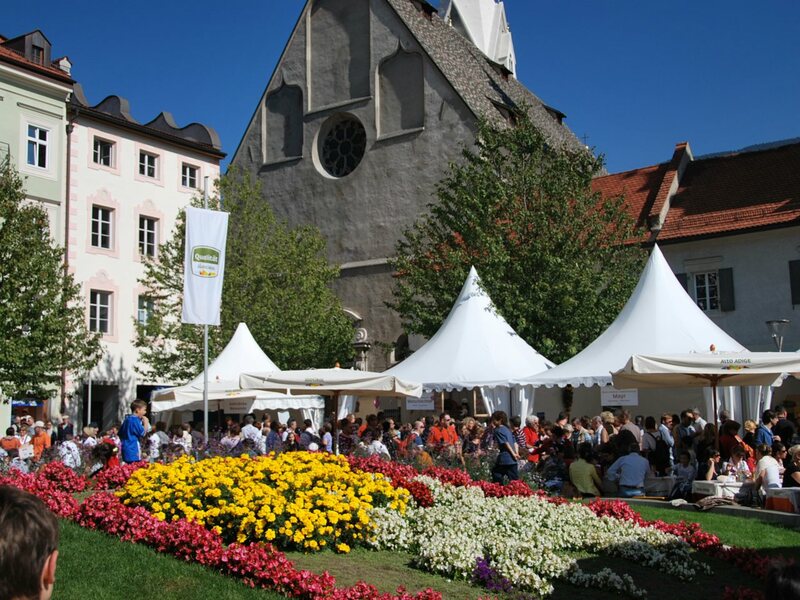 The nice town Brixen is situated in the first larger valley bottom of Eisacktal south of the Brenner Pass. 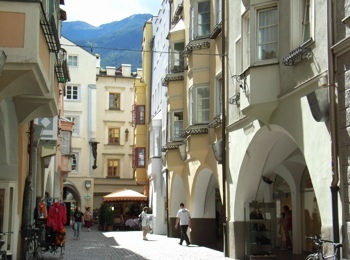 It is considered to be the oldest town of the historical region of Tyrol. For many years the bishop lived here and today, you can still find some signs testifying to the former glory and treasures, which stem from different eras: Gothic, renaissance, baroque, rococo, Biedermeier as well as classicism and art nouveau. 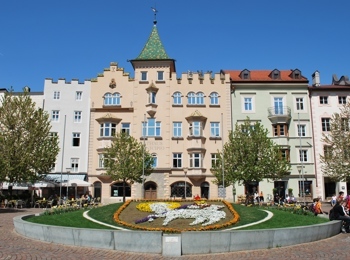 Throughout the city you can discover innumerable interesting and old buildings giving evidence of the glorious past: First and foremost the Episcopal stronghold, the majestic dome and the buildings around it, the St. John's basilica, the parish church, the Hofburg, the monastery of Neustift and the wonderful Gothic cloister. 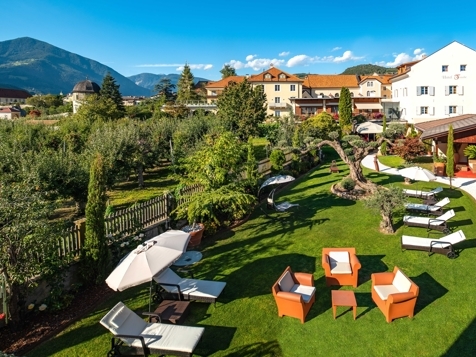 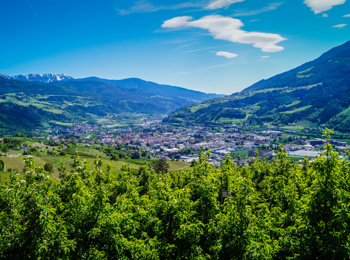 The landscape around Brixen is characterized above all by chestnut trees and vineyards, which play a very important role during the traditional harvest festivities in autumn. The whole year round, the area in the middle of the holiday region Eisacktal offers many cultural and culinary specialities, but it is also the right place if you like sports. 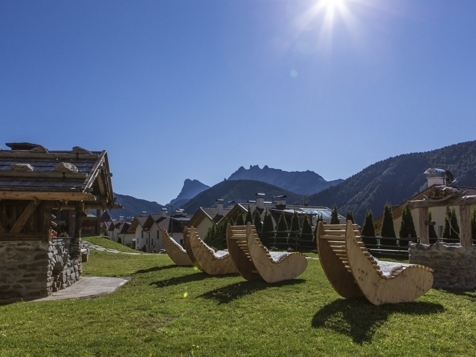 For example, in the skiing resort Plose winter sportsmen will surely be satisfied. 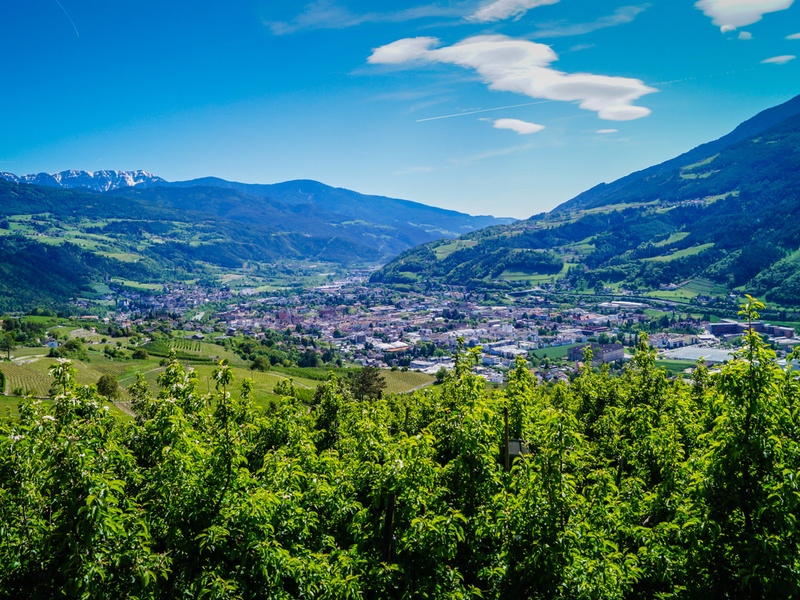 A popular sport here is also paragliding high above the nice landscape, starting on one of the surrounding mountains. 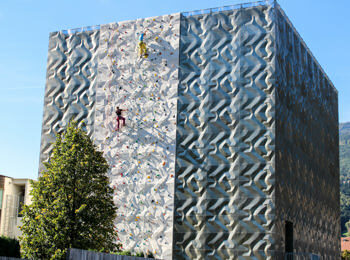 Obviously, you can as well go swimming, hiking, biking etc. 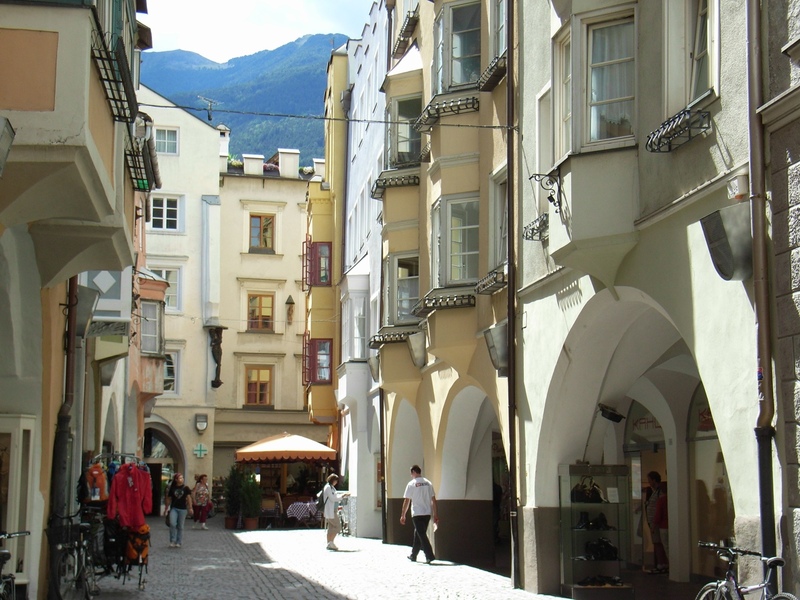 So in Brixen there is absolutely no risk to be bored!